Addressing Barriers to Minority Ethnic Students’ Learning in a Performative Culture: Possible or Aan u SuuraGelin? Niemożliwe? Nemoguće? ناممکن? This article, written by a research-active teacher of English with an academic partner, recounts the circumstances of forging a partnership way of working in an urban high school that is consistently targeted for closure in the north of England. This is connected to performance and achievement against Ofsted inspection criteria and school data benchmarked against national data. 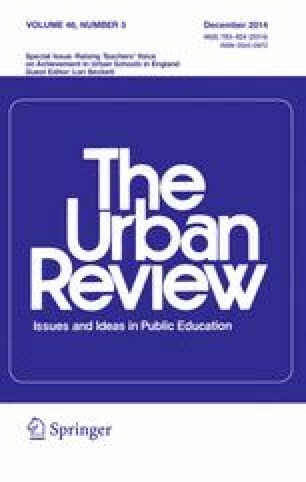 The article proceeds with a recollection of the teacher’s battle for professional recognition when it comes to the intellectual and practical arguments for curriculum and classroom practices that are tailored to the learning needs of different minority ethnic students, who have to negotiate language barriers to schooling. This more professional view of what is to be done draws on evidence built up in the course of a teacher inquiry project, which needed the sanction of the School Improvement Officer assigned by the Local Authority, who recommended a focus on achievement in the teacher’s bottom set Year 7 English class. The experience points toward research-informed teaching, which stands in marked distinction to being compelled to ‘teach to the test’ in classes that are set. The article illustrates a union argument that teachers’ professional responsibilities are linked to a struggle to reclaim the right to make professional decisions. Allen, T. (2013). Drivers and barriers to raising achievement: A focus on school and classroom level influences. Office for Standards in Education (Ofsted) access and achievement: Background papers. http://www.ofsted.gov.uk/resources/access-and-achievement-background-papers.